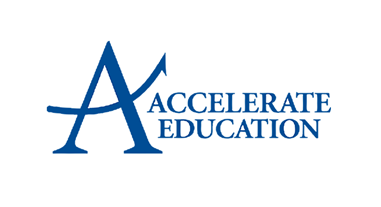 Accelerate the Construction of Education - WorldInfo. General Secretary Xi Jinping’s important speech at the National Education Conference stood at the height of the overall development of the party and state undertakings in the new era, summed up the historical achievements of China’s education since the 18th National Congress of the Communist Party of China, and scientifically summarized “Nine insistences” of valuable experience, in-depth analysis of the new situation and new tasks facing the education work, scientifically answering the major theoretical and practical issues of China’s education reform and development, through the Marxist world outlook and methodology, marking our party in the regular understanding of education has reached a new height, realizing a new leap in the party’s educational theory, and providing a powerful ideological weapon and action guide for promoting the reform and development of education in the new era. Firstly, profoundly understand the strategic positioning of “the country’s great plan, the party’s great plan”and always insist on giving priority to the development of education. Linking education to the future of the country and the destiny of the nation. The cause of the party have brought the status of education to an unprecedented strategic height. Firmly establishing education is the concept of grasping development, grasping the future, and grasping core competitiveness. We must always give priority to the development of education, unswervingly promote the strategy of strengthening the province, and strive to run a satisfactory education for the people. We will work hard to solve the problem of unbalanced and inadequate education development and continuously meet the people’s new expectations and new demands for quality education.